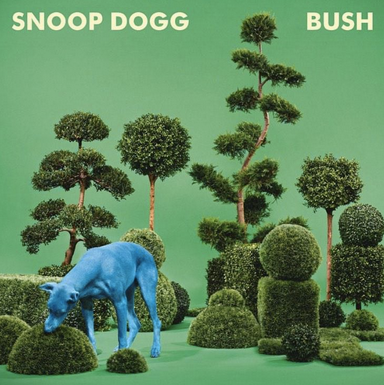 On Tuesday, March 3, legendary rapper Snoop Dogg released the artwork to his upcoming 13th studio album “Bush” via Instagram. The cover art depicts a blue dog biting on a bush, surrounded by tons of green trees. The whole album is set to be produced by Pharrell Williams, and is said to combine “retro-futuristic funk with a feel-good mix of R&B and pop.” The album’s first single “Peaches N Cream,” is expected to drop sometime later this month. The track debuted live at a pre-Grammy party in Hollywood last month. When Snoop spoke to MTV on the album awhile back, he commented “It’s a great record me and Pharrell did from top to bottom. It feels good and I’m happy to be back in the studio working with one of my favorite producers and homeboys.” He also added, “It’s completely different than anything we’ve ever done. It feels good, sounds good, looks good.” “Bush” is scheduled for release later this year via Pharrell’s I Am OTHER label and Columbia Records. Stevie Wonder and Charlie Wilson will be featured on the LP, giving it a throwback feel. In an interview with Los Angeles’ Power 105 last June, Pharrell couldn’t praise the album enough. “Snoop’s album is better than mine,” he told them. “You’re gonna bug out from the approach of what we did. If I say the references, I’ll just give it away. I’m so proud of Snoop. 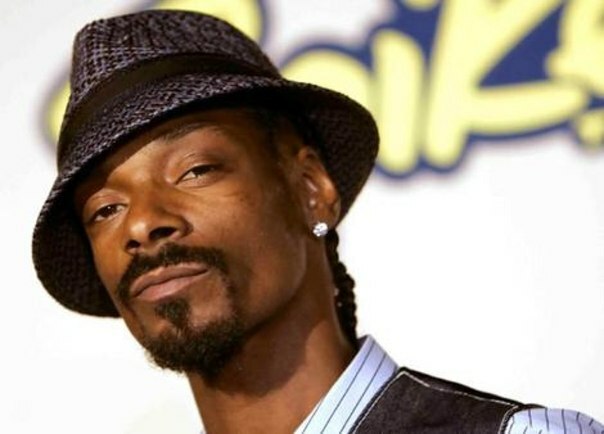 It’s so jammin’…It’s one of those things where it’s so obvious…But it feels so good.” Snoop and Pharrell have previously collaborated on several hits, including “Beautiful” and “Drop It Like It’s Hot.” Given the history Snoop has with Pharrell, it came as no shock when he said the famed producer would be working with him on the project. With the album art and a trailer already released, we just need to get a release date and tracklist for the album. No further details on whether or not it is finished, but the promotional engine has started, so it is fair to assume the album will be arriving sooner rather than later. In a couple weeks, Snoop will be making a cameo guest appearance on Empire and back on tour this summer. For tickets and more information: http://snoopdogg.com/.